PORT OF SPAIN, Trinidad, Sept 11, CMC – The 47-year-old wife of a businessman was rescued by police on Monday night four days after she was kidnapped while returning from a gym in southern Trinidad. 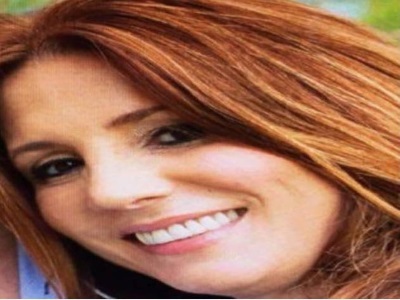 Police Commissioner Gary Griffith told a news conference late Monday night that no ransom had been paid for the Natalie Pollonais, a mother of three and the wife of Jason Pollonais, a director of Inland and Offshore Contractors Ltd.
Natalie Pollonais is with us. She has been extracted, she’s alive and well. This was a clinical operation that took place for the last four days and nights. Mrs Pollonais was brought straight to the Police Admin Building. I spoke to her and she’s in good condition. She is unharmed and no ransom was paid,” Griffith told reporters, flanked by National Security Minister Stuart Young and Attorney general Faris Al Rawi. “This was kidnapping for ransom. I am not going into the specifics. We were able to pinpoint and target the area. It was immense work,” Griffith said, adding that a number of tactical units were involved in the search and rescue mission, including the Anti-Kidnapping Unit (AKU), Organised Crime and Intelligence Unit (OCIU), Special Branch, Strategic Services Agency (SSA) and the Tactical Unit. “The whole operation was totally intelligence driven. We worked hand-in-hand. It was a co-ordinated effort (which) we never saw in a while,” said Griffith, adding that “until we apprehend all of the individuals involved in this situation”, the area where the woman was rescued would not be made known. “This sends a signal to all criminal elements…it is not business as usual,” said Griffith, who was recently appointed to the post four years after Canadian Dwayne Gibbs resigned. We can never have a crime-free country. What we would do is continue to provide the deterrent, with the assistance of the State, for us to ensure the safety and security of this country,” Griffith said. Young told reporters that the Keith Rowley government’s position is that “we will continue to support our law enforcement agencies and authorities. “Today we can breathe a sigh of relief. We just chalk this one up to a lot of hard work and a bit of luck,” Young said. There is a clear disparity in policing in Trinidad where social class,wealth and ethnicity determines police response. There are many cases of kidnapping for ransom in Trinidad’s history which never elicited this type of response from the police service.A lot of resources and technology were utilized in this specific case.Many citizens have gone missing but the police service does not treat every case with equal concern. The rogue element has existed for decades in the police service and this may not be the first time police officers are allegedly involved in kidnapping.